Tiki Village Inn welcomes you to the city of Vernon, BC. 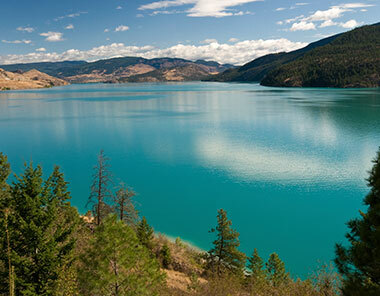 Sitting in the fertile Okanagan Valley, our hometown serves up a delightful mix of activity, culture, and exploration. And though we may be far from the sandy shores of Polynesia, we think you’ll find with us an atmosphere of relaxation and calm. It’s the perfect getaway, year-round. You deserve a restful stay. 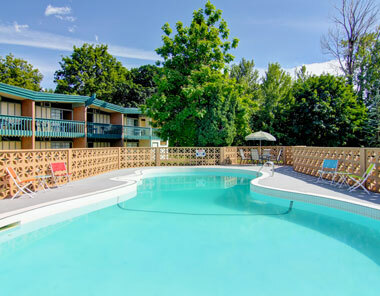 Our guests and their families can look forward to no shortage of amenities, from our heated pool and sauna to our onsite fitness center and playground. Back in the room, relax in air-conditioned comfort on one of our Posturepedic mattresses, and enjoy the use of a colour television. Planning a visit to the Okanagan Valley? We’d love to have you. Come see for yourself all that Vernon has to offer. Our modern and comfortable accommodations will ensure a peaceful and comfortable night’s rest, helping you to recharge and prepare for another fun-filled day. And because we feel that money is best saved for travel experiences, we’re proud to offer all of this at incredibly affordable rates. IaOrana, and welcome to Vernon. 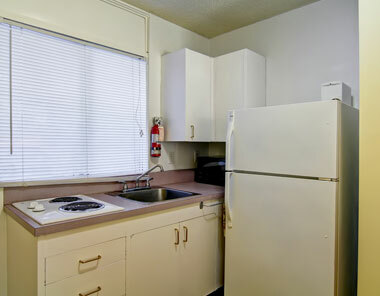 Book your room or kitchenette online today for our best rates.